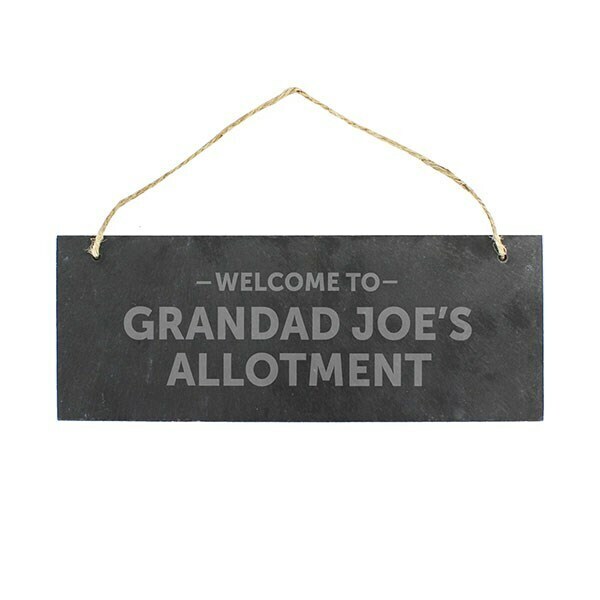 Create a uniquely personal gift for a new home, birthday, Mother’s Day, Father’s Day and more with this attractive hanging plaque. 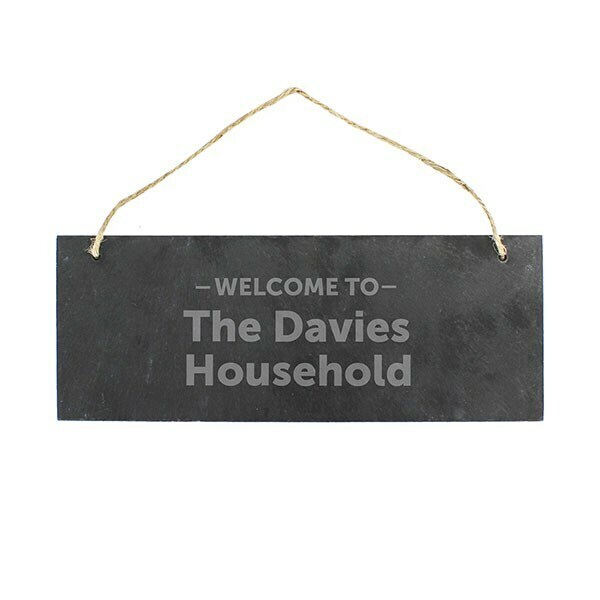 Hand-carved from slate with speckles of fool's gold, it includes the standard wording “WELCOME TO…” with space for any two-line message underneath (up to 20 characters per line). Supplied with twine hanging loop.